The Rescue Mission is for EVERYONE! In many ways, Samuel and Rusty couldn’t be more different. Samuel didn’t finish high school and has struggled to find work most of his life. At 25, he’s already been homeless off and on for seven years. He’s battled debilitating depression and severe drug addiction. Rusty has had a successful career as a musician. He’s never had to dig through a dumpster for food. He’s never spent even one night out on the street. And yet, both of these men found what they needed at Tacoma Rescue Mission. They found healing, hope, transformation and purpose. It just looks different for each of them, and it probably looks different for you, too. Samuel has had the odds stacked against him most of his life. He was born with cancer, which later made it impossible for him to join the military like he’d always dreamed of. Instead, he dropped out of high school and moved in with his older brother. “I was ashamed,” Samuel says. And when their housemate in Seattle sold all their stuff without them knowing and stopped paying rent, that shame made it even harder for Samuel to get back on his feet. He and his brother ended up homeless, with nothing. Samuel spiraled into depression and turned to drugs to try and escape. 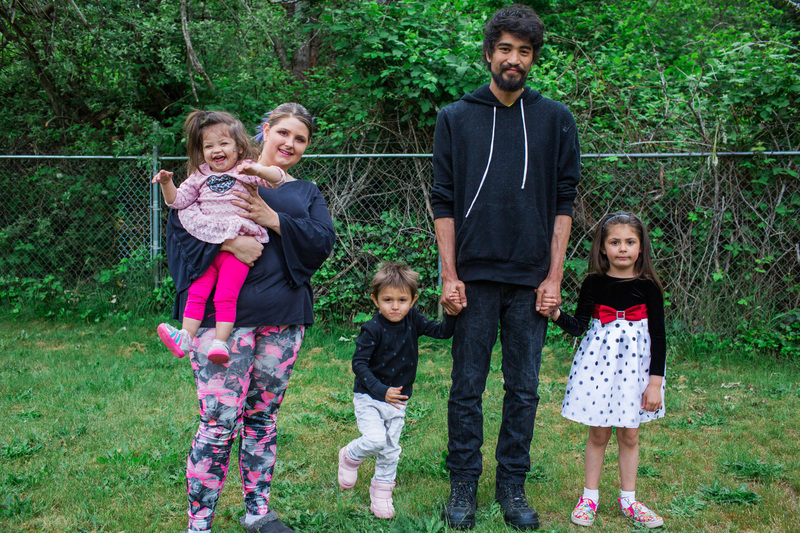 Things started looking up when Samuel and his wife found housing and started a family. But then, when a landlord forced them out, he ended up on the street again. Thankfully, he and his family all ended up at the Mission. Samuel is working on staying clean and he and his wife are looking ahead to a bright future – for them and their children. Since coming to the Mission, Samuel has earned his GED. He has a great job and has even helped other guests here get work at his company. His brother is still on the streets and addicted to heroin. Please pray that he’ll find healing, too. Rusty is a musician. He toured for years and got swept up in the “rock ‘n roll” life. When Rusty hit bottom, he felt the Lord tugging on his heart. “When the opportunity to volunteer here happened, I started doing it,” Rusty says. It was over 13 years ago that Rusty first came to the Mission to volunteer. He’s been back almost every other Thursday since, guitar in hand, ready to sing. Rusty keeps coming back not only because he is making a difference, but because he gets a lot out of it himself. 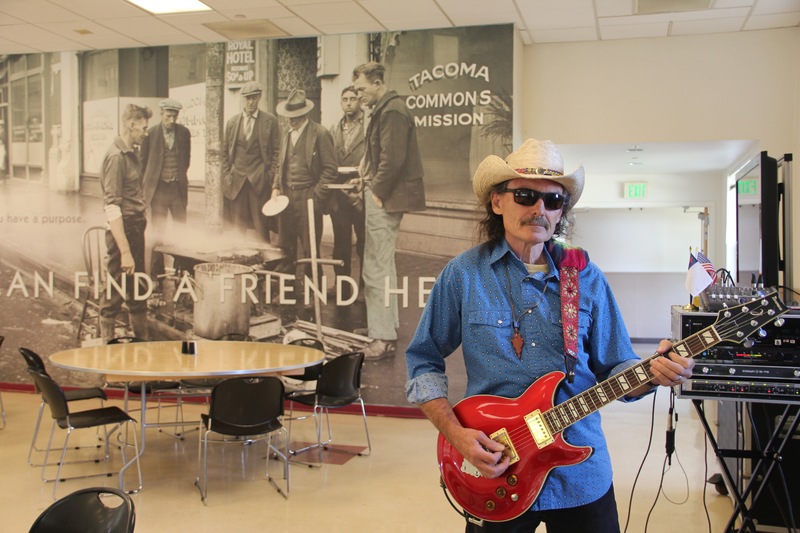 Over the last 13 years, Rusty has given out nearly 10,000 copies of his CDs at the Mission for free.